HVAC Manassas is not you typical heating and air conditioning company. We know that when your air conditioner or furnace goes out, that you have multiple options when it come to choosing the right HVAC company. That's why we always strive to put our best (bootie covered) foot forward during every experience that you have with us. All of our contractors are trained HVAC professionals and have proudly latched on to our no BS, hassle free style. Whether you are looking for a repair, preventative maintenance a new system or just some trusted advice you can count on, you have come to the right place. When your AC is out there is probably only one thing on your mind; getting that thing fixed! Here at HVAC Manassas we have highly trained experts that are familiar with every brand and model. There hasn't been an HVAC problem that we haven't been able to solve yet. We'll be sure to get your air conditioning working properly again. Also let us share with you a little secret in the HVAC world. A very common but easily fixable problem with air conditioners is that if it suddenly goes out on an extremely hot day, it is very possible that the high-pressure limit may have been tripped. To quickly and easily fix this press the reset button located in the access panel of the compressor. If that doesn't do the trick or your AC is having other issue, give us a call and we'll happily see what we can do. "Brr its cold in here, there must be a broken furnace to repair!" If your furnace isn't working or not working like it used to, you probably want it fixed as quickly as possible. Nothing is worse then sitting in a cold house. Our highly trained HVAC service experts will drop everything to come out to your home as soon as they can to get your home heated as fast as possible. Pretty soon you'll be cheering, "Brr its could out there, I'm so glad its warm in here!" Ah heat pumps. The all-in-on contraption that works in both the summer and the winter. That poor little guy never catches a break. And you know the weather here in Virginia. Our summers are scorching and our winters are freezing. Your heat pump is probably about to snap. If that's what happened to your system give us a call right away. We know you took good care of your old HVAC system but unfortunately nothing lasts forever. If you're in need for a brand new HVAC system we got you covered. Trane, Bryant, Carrier, Goodman, whatever you need we got the hook up. (Literally we'll hook it up for you) We always take pride in setting you up with the best HVAC system that your home needs. On that note, bigger isn't always better. 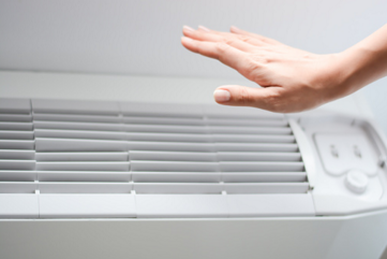 We'll select your HVAC system according to the heating and cooling needs of your home. If you get a system that's over sized you may end up paying huge energy bills. We're consumers too. Since we are always mindful of your budget ask us about getting Energy Star qualified HVAC equipment. We make this process as simple as possible. We'll find out what you need, show you what you need and then make a proposal. That simple. 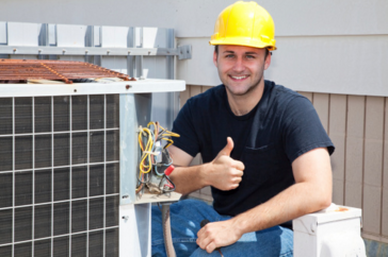 Our HVAC services generally fall into two categories: Emergency HVAC Service and Preventive HVAC Maintenance. If its emergency service you need you can be rest assured that we have someone available 24 hours a day, 7 days a week to handle emergency request. We make sure we have a quick response time to handle your HVAC Emergency. We're like the Batman of HVAC Contractors. Except we're the HVAC heroes that Manassas deserves AND needs. If its preventative maintenance that your after, then we've got you covered for that as well. We have flexible maintenance service plans that provide a discount on all your HVAC service needs. We make sure your system is in great shape and is running well. This will keep your HVAC equipment working longer and run more efficiently (meaning lower energy costs) . So you probably didn't wake up this morning and thought, "Hmm...I think I'm gonna get my ducts sealed today." Up until you read this you may not of even known that was something that was doable. But now you know. And at least you can say you learned something new today. Here is another fun fact. About 90% of ALL buildings in North America have poorly insulated ducts. That includes Manassas. Getting your ducts sealed will help prevent about 20% of conditioned air (the air you spent money to get heated or cooled) from getting lose due to holes, leaks and bad duct work. Getting your ducts sealed will make your home more comfortable and safer. It will make your air cleaner and will also help you save money on energy bill. Nearly 17,000 fires in the United States are caused by clogged up dryer vents. This results in dozens of deaths each year. This can easily be prevented by simply getting your dryer vents cleaned. Not to mention it will help your dryer run more efficiently so you don't have run your dryer more then once. Give us a call today and stop living life so close to the edge.